Baltimore, Maryland's Clipper City Brewing Company has earned a special place in our stomachs. By producing their Heavy Seas line as well as their Mutiny Fleet, they have made mouths and our blood alcohol level happy. Their Small Craft Warning is one of our favorite pilsners and their Cabernet Barrel Aged Below Decks is Mike's favorite Barleywine. However, the only brew in their Heavy Seas line that is just average is their IPA, Loose Cannon. 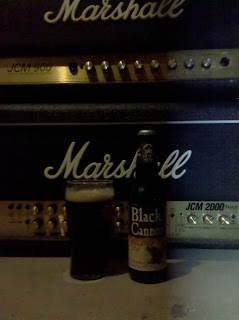 So when we saw the "black IPA" version, Black Cannon, we picked it up hoping they can redeem their subpar brew. 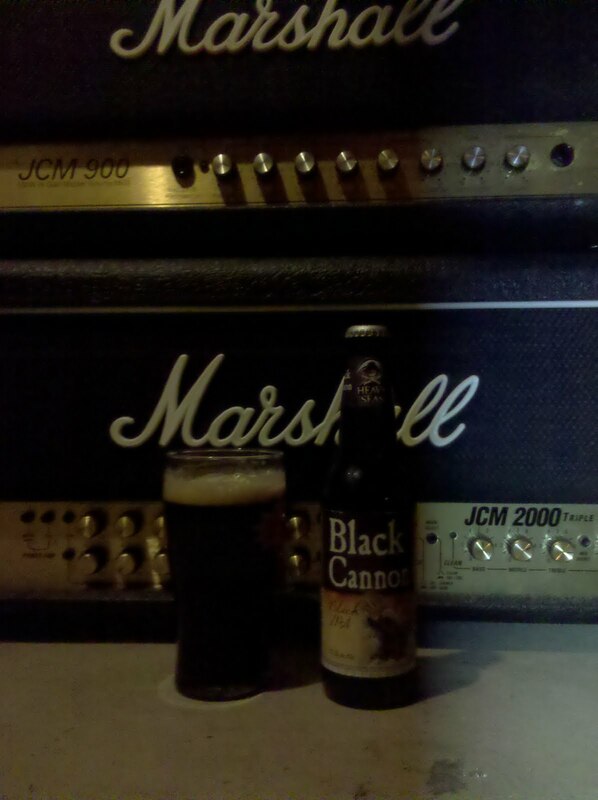 Black Cannon is a dark malt version based our their original Loose Cannon. The black IPA smells of citrus and floral hops and pours dark with a tan head. When the beer begins to head down the consumption vessel you immediately taste the roasted malts in what makes this IPA "black." However, the back end is all citrusy IPA goodness. Given the 7.25% ABV, this ale is light bodied and smooth. The flavors are so well put together that none stand out, which in most cases is a bad thing, but not with this brew.